It’s not uncommon to find records that have intentionally incorrect dates and other information on them. One situation in particular which is common is in passenger manifests for people coming from Europe to the US. Frequently you’ll find someone who lists their age as 17 or 18, when in fact they’re younger but lied to get on the ship to America. Sometimes the age given when coming to America was used in official documents going forward, even if they were wrong. Without a birth certificate or other documentation from the old country, you may forever think someone was older than they really were. My point with bringing this up is that when you’re doing research it’s very hard to confirm information from a single record, or even multiple records sometimes. A good example of the issues involved is that while you can usually trust a death certificate to have accurate information on a person’s death, it may not be a good idea to trust the birth information listed on it. If the birth information on a death certificate is all you have on that person, go ahead and use that birth information, but always source it properly so you know where the information came from. If you one day track down a birth certificate on the same person and the information is different, then trust the birth certificate over the death certificate. There are many kinds of records out there, some ‘official’ records like birth and death certificates, and some unofficial like birth announcements and obituaries in newspapers. 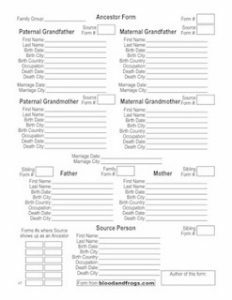 Obituaries can be a great tool for building your family tree, as they frequently contain lists of surviving children, maiden names, etc. Nowadays many small local newspapers are being scanned and put online, some which you need to pay for and some which are free to use. I was recently searching through a free searchable database of Georgia newspapers, part of the Digital Library of Georgia. 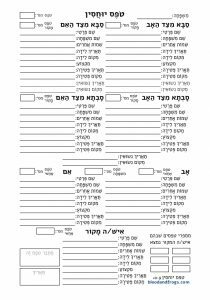 Of particular interest to Jewish researchers with family that lived in the southern states in the US, is a publication called the Southern Israelite. It contains issues of this magazine from 1929 through 1986. It started as a local newsletter in Augusta, then moved to Atlanta where it covered all of Georgia and then eventually covered other southern states as well. In any event, records I found illustrate this point about not trusting records too much. 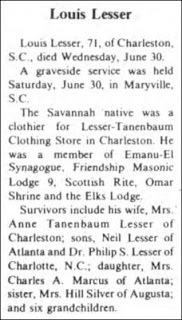 I found an obituary printed on July 8, 1983 about Louis Lesser, who it says died about a week earlier on June 29th. It lists his age as 72. See the obituary as printed on July 8th on the left. 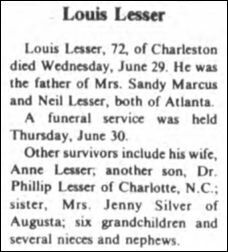 If one had no other records about the death of Louis Lesser, and he was in your family, you would probably enter the information in this obituary into your genealogy program. That’s a perfectly normal thing to do. Make sure of course to properly cite the death infromation as coming from this obituary and where and when the obituary was published. The interesting thing about this is that a second obituary pops up a couple of weeks later, in the July 22 issue of the same magazine. It has different information. I suppose you might assume the first one had mistakes and the second one was the corrected version. See the second obituary, published on July 22 on the right. Now, what do you see? The age listed is 71, not 72. The date Louis Lesser died is listed is June 30, not June 29. There is also additional family information. So assuming the second version is the corrected version, you would guess Louis Lesser died on the 30th and was 71. What can we confirm here? Well, you could look up the record in the SSDI. The SSDI index doesn’t give the date, only the month, so we can’t confirm the date without ordering the full record, but it does list a birth date of Oct 5, 1910. Again, take this date with a grain of salt, it is only the date used when the person applied for a social security number, but let’s use it to see what the person’s age should be. Clearly, according to this date, he’s 72, and closer to 73 than 71. Thus the age listed is probably wrong in the second record. Not a good sign. Okay, so how can we confirm the date? Well I googled ‘south carolina death certificates’ to see if there was some searchable index and came across the Death Indexes page for South Carolina. If you scan down the list of resources, you’ll see there is a link to cemetery burials by the Jewish Historical Society of South Carolina. The site lets you browse the cemeteries, but without knowing which cemetery the person was buried in, this could take a long time. Luckily, they’ve put in a search box to let you search the whole site. 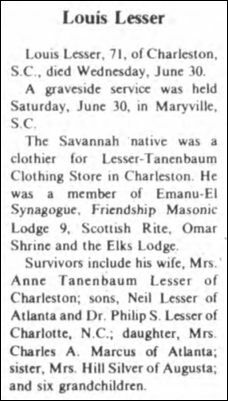 Searching the site brings up a page for the Emanu-el Cemetery in Charleston, SC with his burial record. The good news is it lists the same birth date for him, so although neither the SSDI date or this record are necessarily trustworthy records, at least you now have two records showing the same birth date. For the death date, which is the date listed on his grave, it says June 29th. Nothing is 100%, but if the date is on his grave it’s probably correct. Thus it seems the original obituary had the correct information on his age and the day of his death, not the one published later. Not what you might guess from seeing two obituaries in the same paper a couple of weeks apart. So to review, don’t trust something just because it’s in print, and while make assumptions like a later revised obituary is probably correct might make sense to you, it isn’t always the right assumption. Always try to confirm the information you find through other sources, and site the source for every piece of information in your records. I just found your blog via Randy Seaver. Lots of good posts, so I added you to Google Reader. I noticed one thing you didn’t mention in this post. Although each obituary lists different dates, they both say he died on Wednesday. In June 1983, the 29th fell on Wednesday. MNFamilyHistorian, that’s a good catch.